Hart told DeGeneres he's not homophobic and that the backlash against him took the shine out of the Oscars for him. Comedian Kevin Hart stepped down as the host of the Academy Awards in December after homophobic tweets from 2011 resurfaced and the LGBTQ community demanded an apology. At that juncture, he initially chose to ignore the request for contrition. Eventually, he apologized as he announced he was stepping away from the gig. Now, he’s appeared on Ellen DeGeneres’s show, and with her blessing and forgiveness, delivered a five-minute soliloquy explaining his side of the story. The clip ends with her urging him to be the host of the Oscars. "I believe in forgiveness. I believe in second chances. And I believe in Kevin Hart,” reads the post introducing the clip on DeGeneres’s Facebook page. Hart was talking about having apologized for tweets that included one in which he “joked” about enacting violence on a gay son. "Yo if my son comes home & try's 2 play with my daughters doll house I'm going 2 break it over his head & say n my voice stop that's gay,” Hart tweeted in 2011. 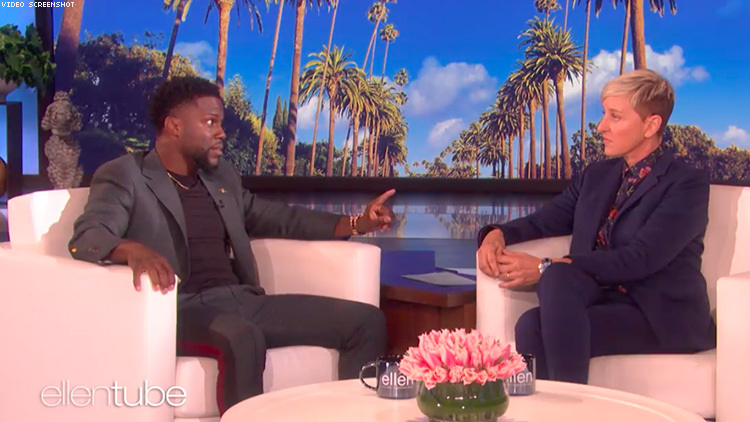 Hart continued, telling DeGeneres that hosting the Oscars had been a dream of his that was shattered because of the reaction to the resurfaced tweets. “The headlines are Kevin Hart refused to apologize for homophobic tweets from the past,” he said was what the narrative grew to be when he decided to initially ignore calls for an apology. “Now, the slander on my name is all homophobia. I know that I don’t have a homophobic bone in my body. I know that I’ve addressed it. I know that I apologized for it," he added. Hart closed out his speech to DeGeneres reiterating that he’s not homophobic.